The internet is one of the greatest decentralized systems ever made. At least, that’s what people used to say. These days, the internet is dominated by giant tech companies, internet service providers, and big businesses. They’ve become gatekeepers who have allowed the internet to become a global surveillance tool. Blockchain’s recent success has put decentralization back on the menu. But is a truly decentralized internet possible? What does decentralization mean, and how would it keep you safe? The internet—a collection of connected computers—is a system with no owners. There is no one company that “owns” the internet, and this accounts for its explosive growth over the past two decades. With no proprietary mechanism underpinning it, anyone can go online and create content. At least, such was the case in the early days of the internet. According to Mozilla’s Internet Health Report 2018, Google accounts for 90 percent of global searches across all devices. Google’s Android smartphones and Chrome web browser are also among the most popular in the world. Google’s global dominance means that, for many people, Google is the internet. They interact with Google services, through Google devices, accessing Google’s cloud servers. While Google is dominant in some areas, others are controlled by equally powerful companies. Amazon Web Services accounts for 34 percent of all cloud storage. Facebook is the dominant social networking company with over 4 billion users across Facebook, Instagram, and WhatsApp. Amazon’s business practices, Facebook’s never-ending privacy scandals, and Google’s foray into military contracts have seen each firm face growing user backlash. Bitcoin exploded into public consciousness in 2017. Because of its meteoric rise and inevitable crash, it created a lot of interest in the underlying technology: blockchain. The blockchain, as proposed by Bitcoin creator Satoshi Nakamoto, is a decentralized, public ledger. The records for every transaction made with Bitcoin are written into the blockchain and shared across the entire network. No single entity can control the blockchain, and it allows for innovations like decentralized apps. Activists and developers have begun proposing inventive ways to regain collective control of the internet, in what has become known as the redecentralize movement. The domain name system (DNS) is like the phone book of the internet 5 Nifty Ways to Use DNS to Your Advantage 5 Nifty Ways to Use DNS to Your Advantage One of the most underappreciated parts of the internet is the Domain Name System. DNS is often referred to as the phonebook of the internet, but it is far more than just a lookup service. Read More , translating numerical IP addresses into easy-to-remember URLs. But it’s a centralized process that’s vulnerable to surveillance and censorship. One of the largest DNS servers is operated by Google. ISPs also maintain many DNS servers. Whenever you enter a website URL into your browser, it’s sent to a DNS server for lookup. Your ISP, or Google, then stores a log of your request, including your IP address and the website you’re visiting. If the DNS server operator decides that you shouldn’t visit a website, they can block it right then and there. Governments and companies can exploit this centralized system (operated by only a handful of companies) for censorship. The Great Firewall of China even uses DNS censorship to dictate which sites Chinese citizens can and can’t visit. Namecoin is a decentralized cryptocurrency that stores data on the blockchain to create an alternative DNS. Instead of URLs that end in commonly used domains like .com or .net, Namecoin uses .bit as the top-level domain. The addresses are stored in the blockchain so that everybody has access to the same set of addresses. 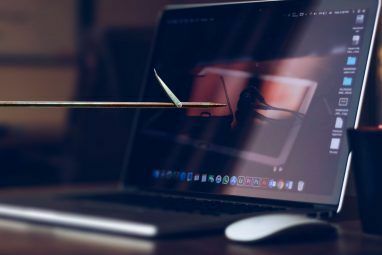 DNS poisoning—changing the IP address of a URL in the DNS—is commonly used by criminals (to divert you to malicious websites) and by governments (to prevent you accessing specific sites). However, as the blockchain is both public and permanent, it’s not possible for DNS poisoning to take place. Privacy concerns are also laid to rest as the lookup is done locally on your computer, creating no network logs of your DNS request. Although blockchain is currently one of the most popular methods of decentralization, it’s not the only one. Social networking websites are often seen as one of the most significant threats to privacy. 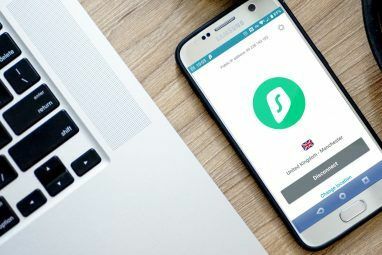 Despite these concerns, people are reluctant to give them up entirely as online social networking has made it easier than ever to stay in touch. Fortunately, privacy-friendly decentralized alternatives are starting to become available. Diaspora and Mastodon are the two most well-known replacements for Facebook and Twitter, respectively. Mastodon uses federated distribution known as the Fediverse. Many operators run Mastodon servers (anyone can host Mastodon Your Own Social Network: How to Set Up a Mastodon Instance on Linux Your Own Social Network: How to Set Up a Mastodon Instance on Linux Twitter's echo chamber is stifling discussion. If you want to get people talking, you can create your own social network with Mastodon. 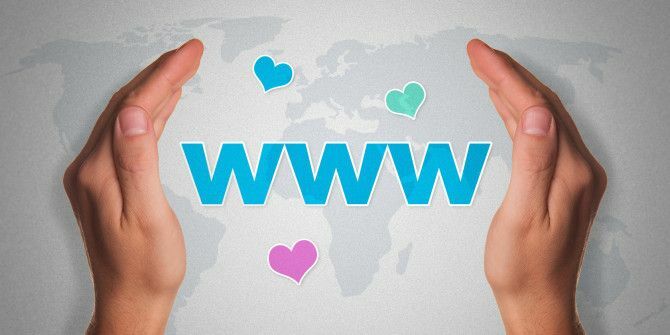 All you need is a web domain and server to get started... Read More ), but users with an account can interact with anyone elsewhere in the Fediverse. Diaspora also uses federated distribution with the Friendica social network. Both networks also emphasize their approach to privacy, stating that your data is yours alone. 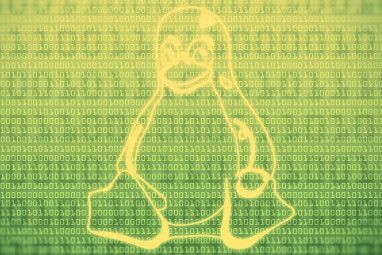 Open-source projects are regarded as among the most secure, since anyone can view the code and contribute. However, open-source software is predominately volunteer work. Consistency and quality can be difficult to predict when people are unable to commit to projects full-time. BugMark, a new project supported by Mozilla, is a futures market for bugs. The aim is to find a way to reward developers for open-source work financially and allow part-completion of work. A futures contract is a legal agreement to buy or sell something at a predetermined price on a specified date. In the financial world, they are often used in currency trading to lock in a specific rate and minimize risk. Bugmark uses Ethereum-based futures contracts for software issues. This creates two marketplaces: one between a funder and developer, and one for trading futures contracts. The market for trading contacts means a developer may choose to only complete part of the work before selling the contract. The developer gets compensated, and the work isn’t lost either. Bugmark aims to make open-source development sustainable. With much of the internet’s backbone supported by open-source projects, keeping them up-to-date and secure is critical. While Bugmark is still in early-stage development, it may one day support an ecosystem that makes us all safer. Although the internet is arguably easier and more accessible than ever, with more free-to-use services available to us, it has come at a cost. We have traded our privacy for convenience. Online freedom for simplicity. While it’s still unclear if Bitcoin will last, the underpinning blockchain technology could come to define Web 3.0 with its focus on decentralizaiton. Will it be enough to challenge tech giants? Only time will tell. Explore more about: Online Privacy, Online Security, Open Source, Surveillance.